Every organization has a constant stream of ideas/work requests. Often times, these ideas, work, projects and so on all in disparate systems, making it difficult to analyze, approve and monitor the work to completion. 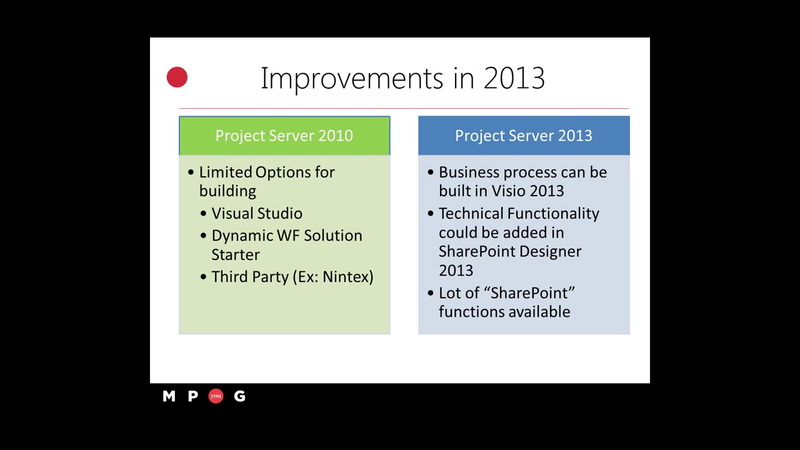 With Project Server 2013, no all the elements of a project lifecycle could be handled in one tool. This version of Project includes several exciting features to allow for easier collection of requests, creation of approved work as projects, and by far the best improvement, creation of workflows to govern your demand management Process, using SharePoint Designer. This session will cover in detail and demo, how the new features in Project Server 2013 could be taken advantage of to manage your Projects’ Lifecycle and Governance. Prasanna Adavi (PMP, MCTS, MCITP,MCT) is a Senior Enterprise Project Management (EPM) Consultant and Trainer specializing in the MS Project, MS Project Server, SharePoint platforms. His main focus is to help organization achieve value by providing business solutions. He also has extensive experience in leading projects end-to-end in a wide spectrum of domains/verticals including IT, ERP (SAP), Manufacturing, Application Development, Automotive and Creative Services. He is a regular presenter at various Project Server, EPM and SharePoint events across the country, and regular contributor to the SharePoint and EPM Community. He also runs a bi-weekly Podcast (www.msprojectpodcast), mainly focusing on MS Project and Project Server solutions.